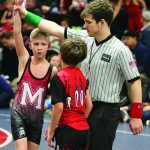 Of the many sports children can participate in, wrestling is perhaps the most misrepresented, misunderstood, and underrated. 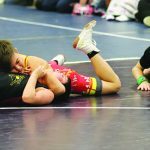 Each year hundreds of thousands of kids participate in this non-violent combat sport, yet the average person knows as much about wrestling as they might know about rugby or polo. 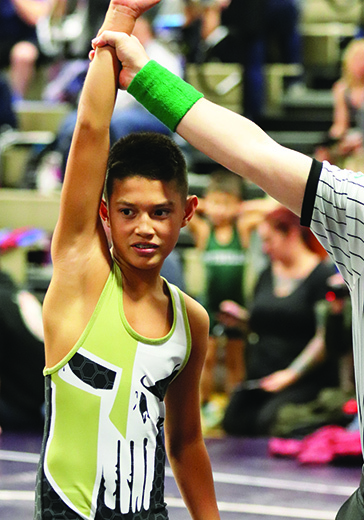 Put that way, it’s no wonder why there is a multi-generational connection of Tulalip athletes who are coming up in the sport and finding serious athletic achievement and personal growth, on and off the mat. 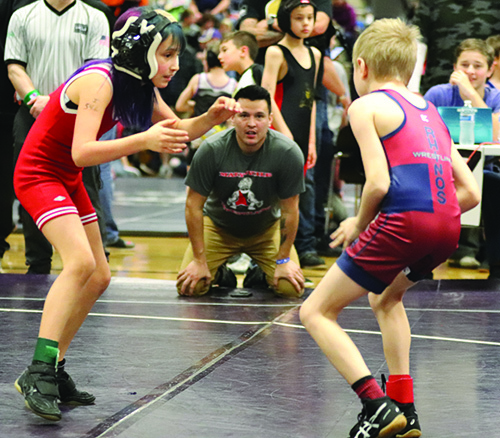 Coached by Tulalip tribal members and former wrestling standouts, Sam Davis and Tony Hatch, the Marysville Tomahawks wrestling program has amassed quite the youth following. They have wrestlers of all ages, skill level, and quite a few girls who prove wrestling isn’t just for the boys. There are additional youth tribal members who are making quite the name for themselves while wrestling under the Punisher wrestling banner, located in Arlington. Regardless of team camp, the aspiring athletes are learning invaluable lessons such as self-discipline, hard work, skill building, and an inner strength that’s only developed over countless hours of practice. Plus, there are many social skills and benefits that come naturally for athletes who learn what it means at an early age to be part of a team. “To us, Marysville Tomahawk wrestling is our family,” shared Katie Lancaster-Jones, mother of two Tulalip wrestlers, Milo and Cole. “We started seven years ago when Milo was six-years-old and Cole was only four. They started with Tony Hatch and his family. Now, we work with coaches Sam Davis and Brandon Davis. From the coaches, athletes and families we are all here to help the youth move forward in life, not just the sport. 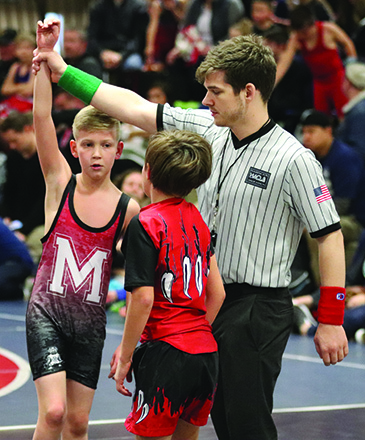 A large group of local wrestlers were invited to participate in the WWKWL 2019 Novice Championship, which took place on January 27 at Kirkland Middle School. The novice designation means only wrestlers within their first two years of competition. 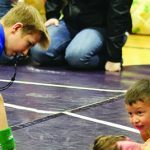 In front of family, friends, and hundreds of onlookers, the novice wrestlers competed in an all-day, round-robin style tournament. Win or lose, the collection of wrestlers demonstrated strong grappling maneuvers and a variety of defensive techniques. Several of the kids’ wrestling prowess stood-out even in a gym where eight matches were going on at any given time. One such wrestler was 8-year-old Julie Blevins. Representing Tomahawk wrestling, Julie’s limber frame and quickness caught spectator attention as she went heads-up with the boys. She held her own in every match, not allowing herself to be pinned nor giving up any points easy to her male counterparts, and came away victorious in the hearts of her adoring fans. Wrestling, like any sport, has its share of phenoms; those that make excellence look like ease. Five-year-old, Tulalip tribal member Julian Lawrence is such a phenom. This year alone he has accomplished quite a bit, taking 1st place in several tournaments held in Spokane and Oregon. In fact, the day before the Novice Championship, Julian competed in another tournament and entered in two separate brackets. He dominated both and took home two 1st place medals for his efforts. The dazzling five-year-old put on a show in front of community members who couldn’t help but gravitate to whatever mat he was competing on. Pin after pin, Julian overpowered his opponents en route to being crowned a novice champion and earning yet another 1st place medal. “As parents, we couldn’t be any more proud of our son. Watching him grow stronger, faster and smarter…pushing himself to be the best that he can be…he has so much passion and heart for the sport,” beamed his mother Honeykwa Lawrence. “We are very proud of his sportsmanship, win or lose. Julian has grown into a polite, respectful little boy on and off the mat. Out of the local Tulalip/Marysville competitors, quite a few wrestled into a high placing or earned a 1st place medal at the Novice Championship. Julian Lawrence, Donte Luong and Conner Juvinel all took home top honors for their brackets. Karter Wright took 2nd place, Troy Blevins took 3rd, and his brother Jason Blevins took 4th. 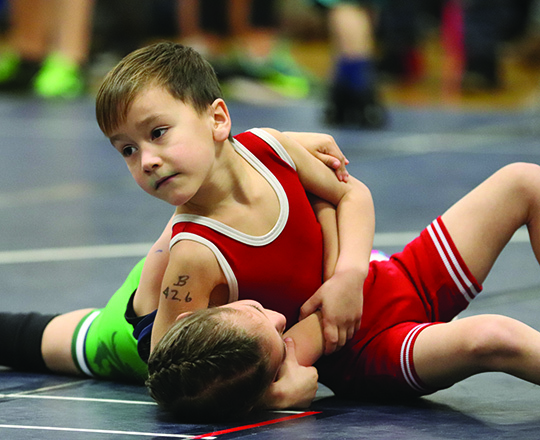 This entry was posted in News, Sports, Top Story, Tulalip News and tagged Novice Championship, Team Punisher, Tomahawk wrestling, Tulalip Wrestlers, Wrestling by Kim Kalliber. Bookmark the permalink.